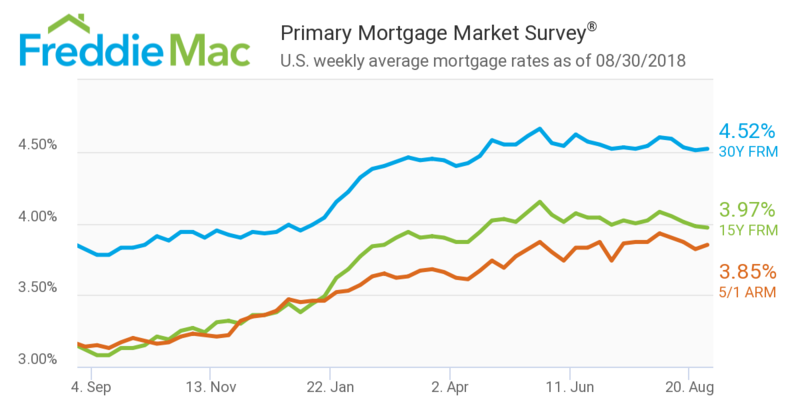 Mortgage rates inched up this past week, according to new data from Freddie Mac. The 30-year fixed-rate mortgage (FRM) averaged 4.52 percent for the week ending Aug. 30, up from last week when it averaged 4.51 percent. The 15-year FRM this week averaged 3.97 percent, down from last week when it averaged 3.98 percent. And the 5-year Treasury-indexed hybrid adjustable-rate mortgage averaged 3.85 percent, up from last week when it averaged 3.82 percent.